The Jungle Hawk Owl is a small to medium-sized owl with no ear-tufts. Other names for this bird include the Papuan Boobook, Sooty-backed Hawk Owl and Chesnut Hawk Owl. Typical call - Elevala River, Western Province, Papua New Guinea. June 2007. CC Nick Athanas. 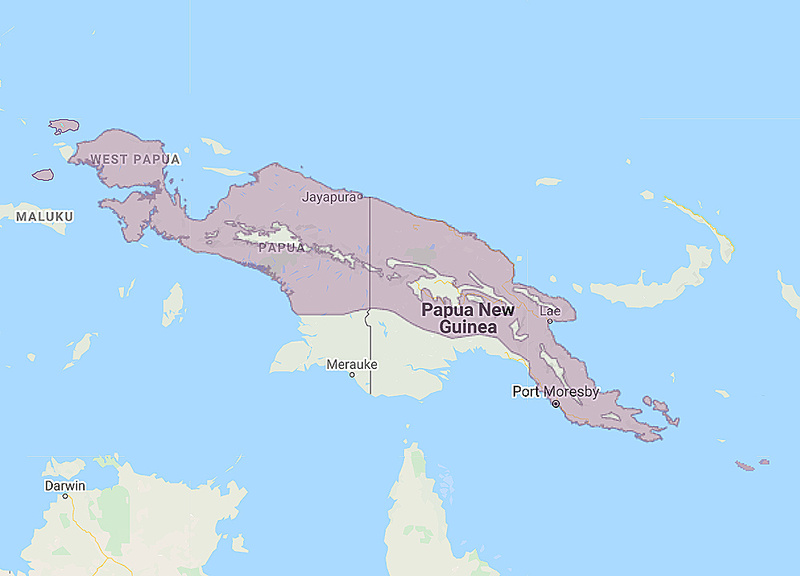 Distribution: New Guinea and some nearby western and eastern islands such as Waigeo, Misool, D'Entrecasteaux Archipelago and Louisiade Archipelago. Status: Widely distributed and Locally common. Original Description: Bonaparte, Charles Lucien Jules Laurent. 1855. Comptes Rendus Hebdomadaire des Seances de l'Academie des Sciences [Paris] (Compt. Rend.) 41: p. 654. See also: Other owls from Asia, Oceania, Genus: Ninox. Page by Deane Lewis. Last updated 2016-01-15.